I couldn’t stay inside one night last week after many hours of rain, sleet and an ice storm. The temperature had warmed enough that a rain/sleet mix fell when I went out. I had to stay on the front porch because of the ice. 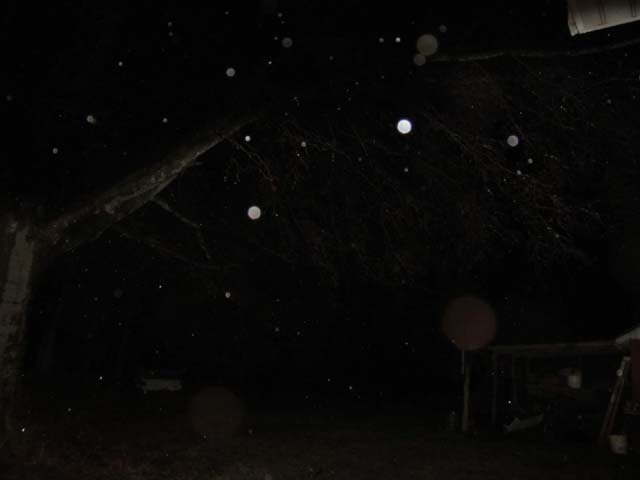 The trees limited my areas for photographing orbs. 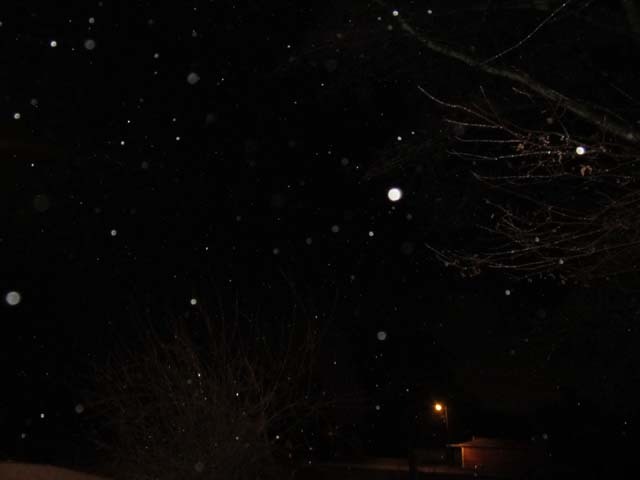 All the tiny “sparks” were rain, and there are 3 orbs on the left. 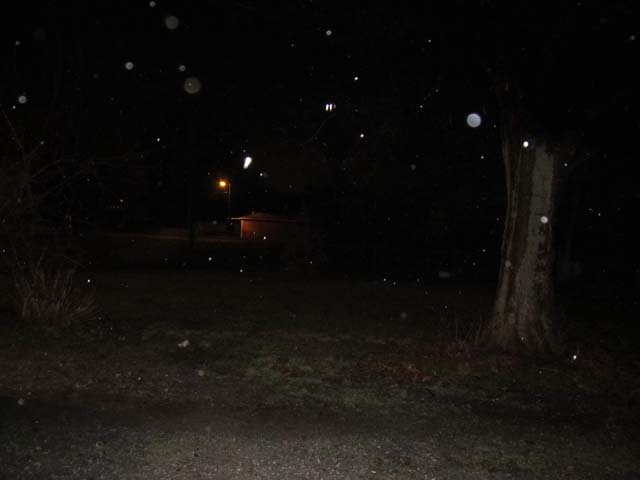 The orbs didn’t show until after the pictures were taken. I went through the house to the side door. There’s no awning there. All I could do was stick my hand out under the corner of the screen where the cats use to go outside. I held my left hand over the camera to keep it dry. The side door gave me 2 angles for taking pictures. 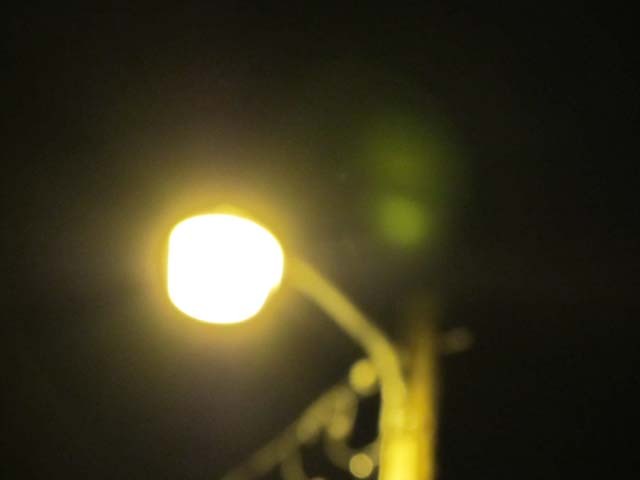 The orb near the orange outside light was moving, leaving a trail behind it. This shows it’s not rain, because it was going upward, not down. I have no explanation for the 3 tiny, side-by-side what looks like tiny moving orbs (to the right and up some from the moving orb). I found them in 2 of the 56 pictures I took. The two large dim orbs might’ve been from a different kind of spirit, or maybe emanated this way for a reason. 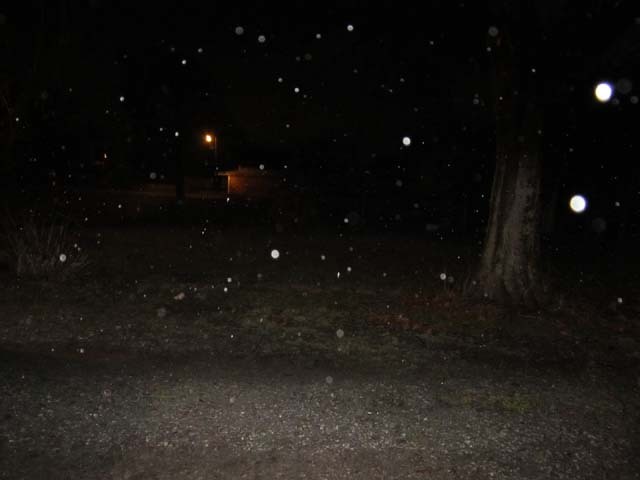 Small orbs appeared in pairs in some of these pictures. They do this often, and I assume it’s to let me be sure they’re not rain drops catching the camera’s flash. One thing about taking orb pictures is surprise of what’s in the picture after it’s taken. 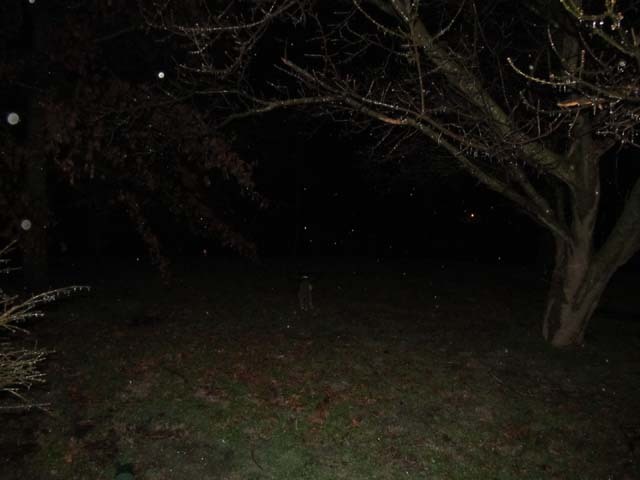 A picture can be full of orbs, and the next one of the same area taken immediately after usually has none or very few. 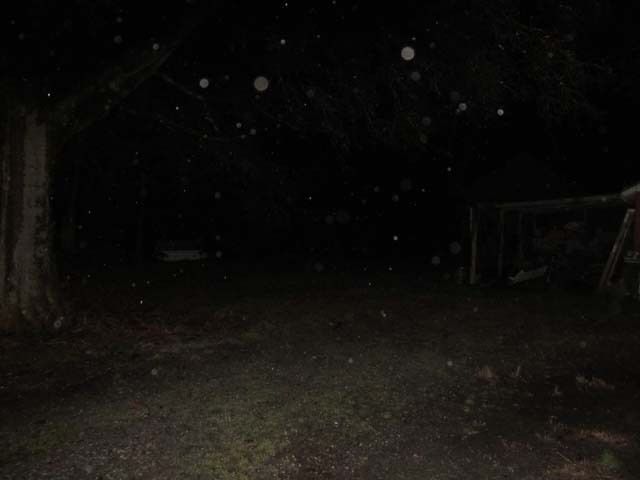 Notice how many paired orbs are in this picture. By this time I was getting cold. I hadn’t exactly dressed right for all this fun. 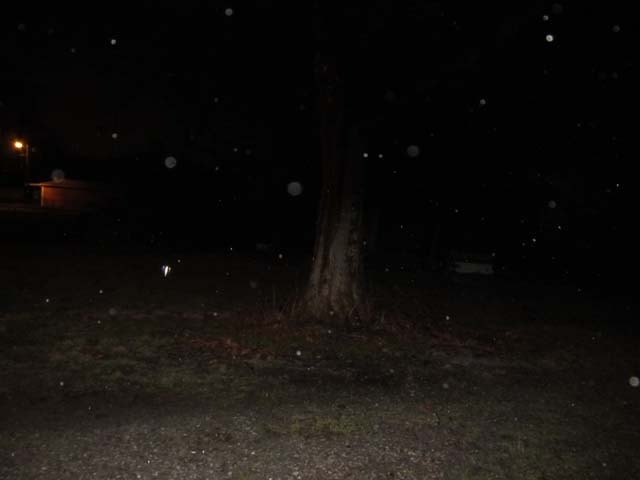 My last pictures were of our security light, and the orbs that came to be in the pictures. I’ve learned how to take orb pictures during the day when it’s sunny and with thin clouds. These 2 green orbs are in so many of my daytime pictures. I decided to go on to bed, and let the orbs do what they came here to do. Orbs are said to be emanations (to come from a source) of Spirit Beings. October 4 was the most perfect fall day. 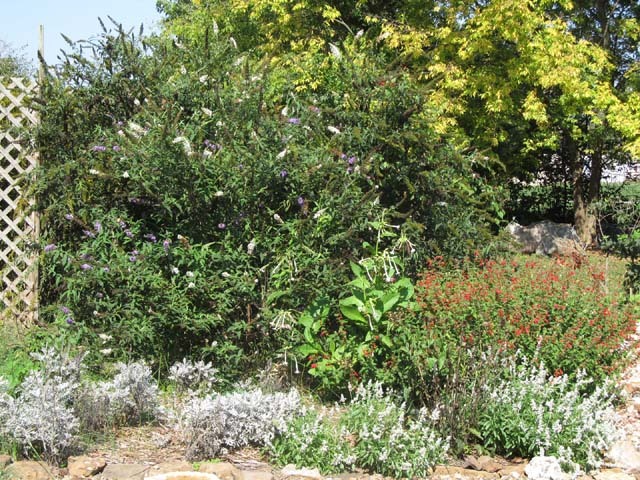 I stayed outside in the gardens enjoying the day until shade covered the flowers. It was a sunny day, with the usual wind. The day sang with colors and activity. A strong cold front came through the next day and changed everything for the rest of the fall. With winter seemingly to drag on and on, I wanted to celebrate this day again. 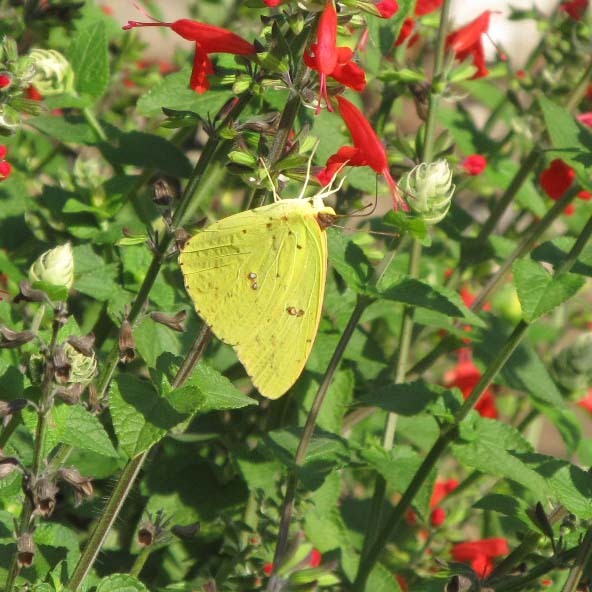 The larger cloudless sulphurs finally emigrated up to southern Illinois. 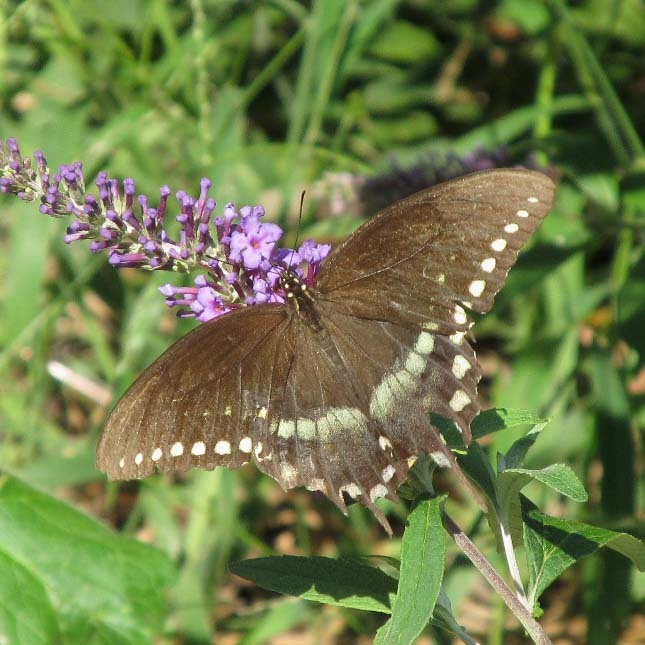 This long tailed skipper was a rare butterfly that also came up from the south. 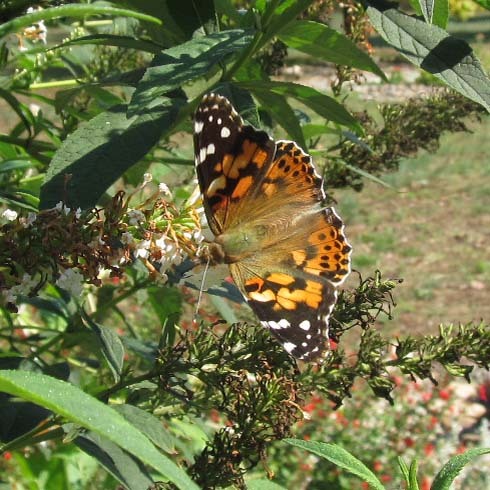 Painted ladies were the most numerous of all the butterflies. They have 4 spots along outer edge of their hindwing. This shows the top of a painted lady. 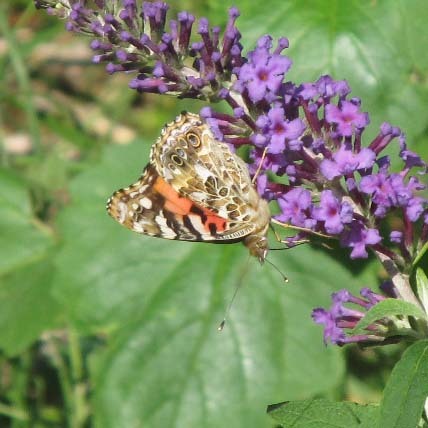 There’s also an American painted lady. 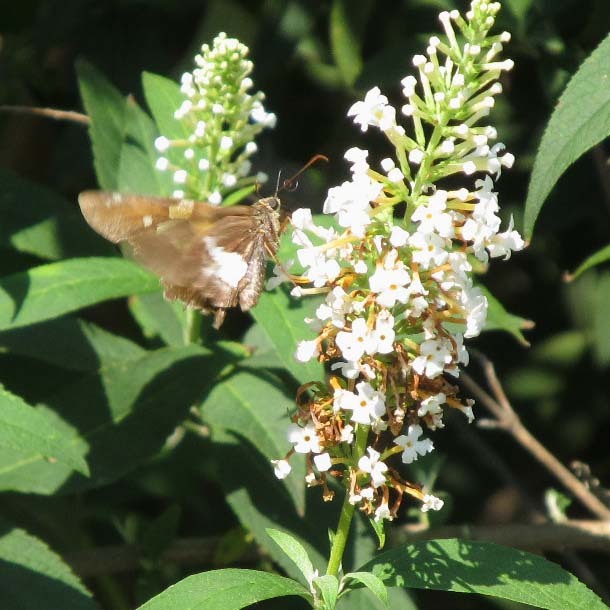 It has 2 large spots underneath on the hindwing, and a small white spot outer-center part on top of forewing. 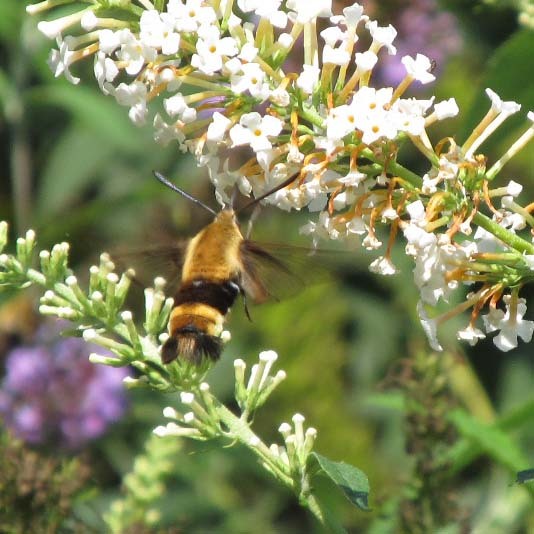 This snowberry clearwing is a moth, not a bumblebee, and hovered as it fed. 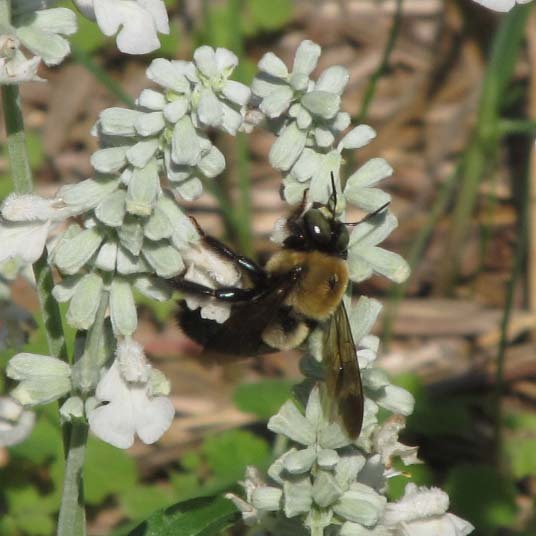 There was no shortage of bumblebees. 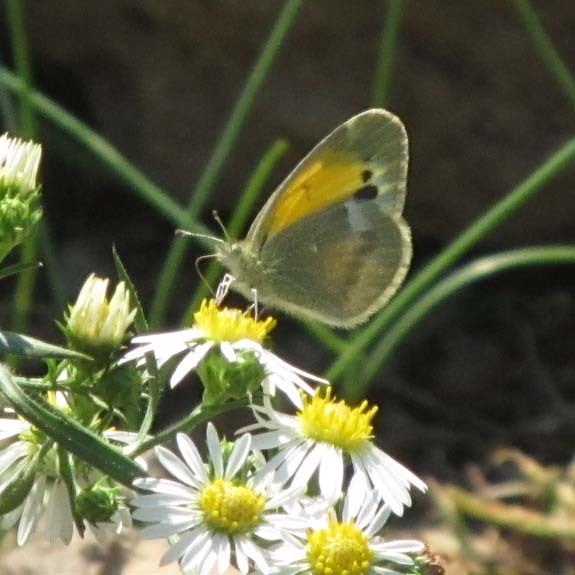 This dainty sulphur preferred the asters. It didn’t stay long at any one flower. 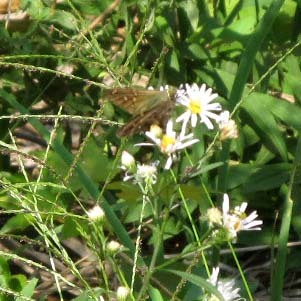 This silver-spotted skipper was a tad faded. The female spicebush swallowtail obviously wasn’t a fresh one either. 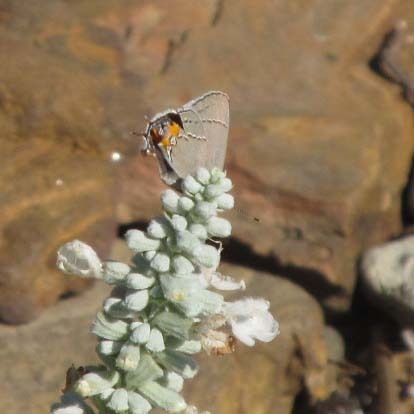 The gray hairstreak prefered the white salvia. Two or 3 species of fold-winged skippers flitted around from flower to flower too. 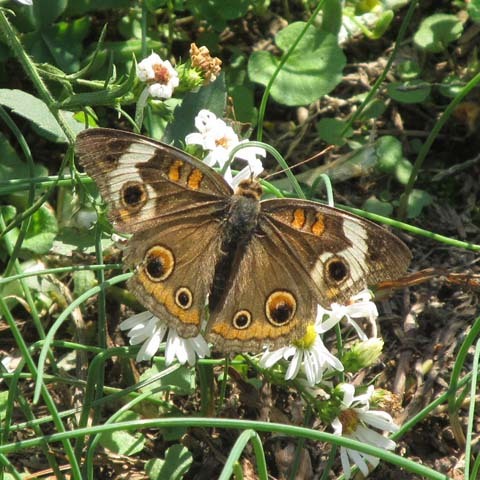 All the eye spots made the common buckeye easy to identify. Asters were common. 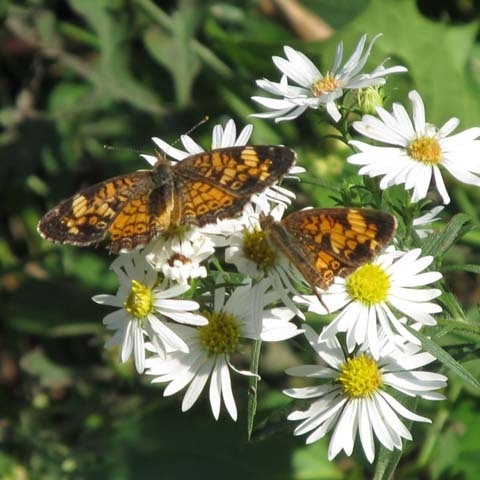 Pearl crescent butterflies lay their eggs on them. There was a lot of courting going on. 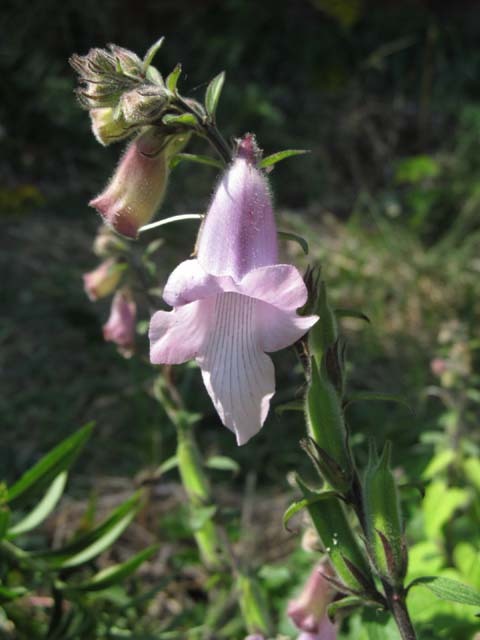 This beautiful flower is an African foxglove. The winds caused the tall spindly plant to lean to one side. Obviously, this picture didn’t turn out the best. 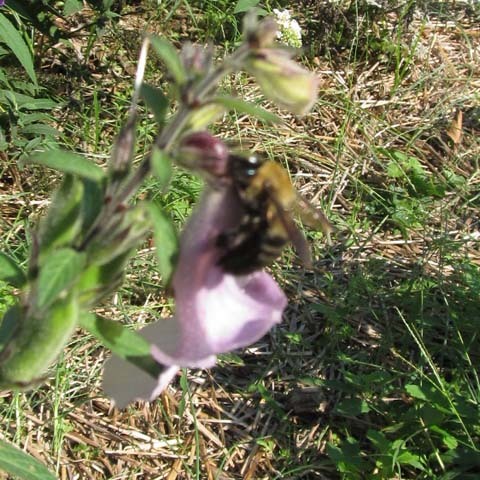 It does show how the bumblebee probed into the top of the flower to reach the nectar. I hope you enjoyed this celebration of fall too. 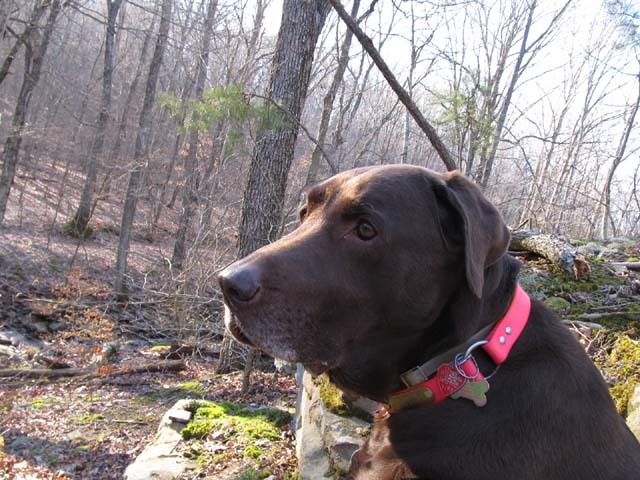 Last fall Buffy and I hiked south in the ravine up to the Shawnee National Forest land that borders mine. There’s a rock wall that I’ve visited so many times over the years and wondered why it’s there everytime. With the angle of the sun, I went on to the south end and started back from there. Back in the 60’s a man built a small cabin at this end — which was illegal because this is National Forest land. He took part of the rocks at the upper end of the wall and made a tall elaborate fire place. I refuse to put it in the pictures. The cabin was gone before I started hiking here. The wall was constructed with large sandstone rocks. It measures roughly 200 feet long. A few rocks fell over in this section. 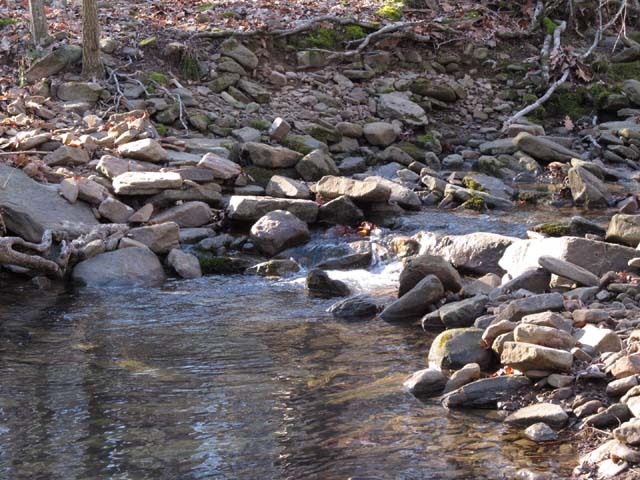 Here the creek altered its course over time and part of the wall collapsed into it. What was it’s purpose? When was it built? The hills slope dramatically down to form a narrow ravine. 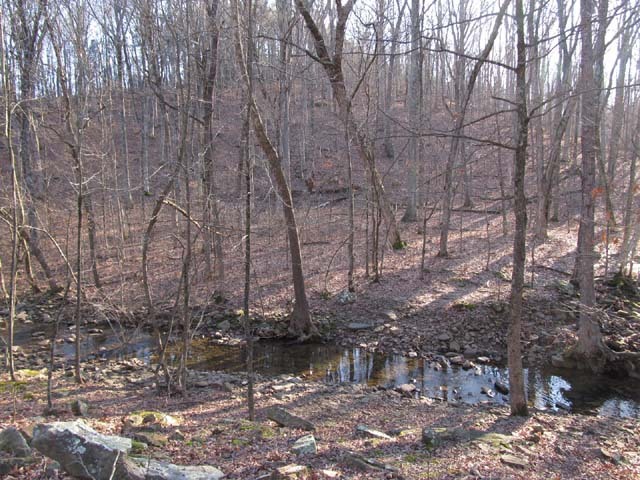 The steep hills slope to both of the creek’s sides just up from here. Obviously, the wall wouldn’t have been used to corral animals. I’ve never been able to think of a single use for it. We started walking back north. the wall didn’t build itself. 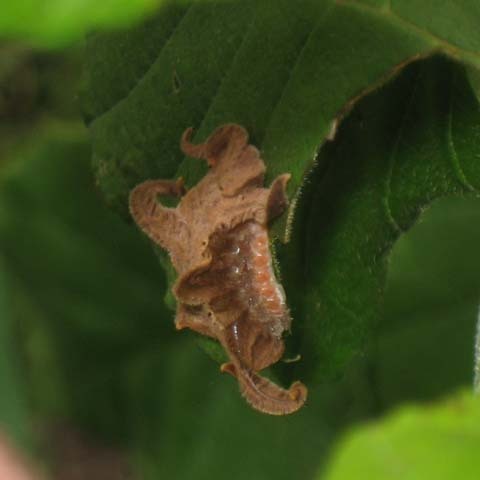 Yes, this is a caterpillar that goes be the name either monkey slug, hag moth or Phobetron pithecium. 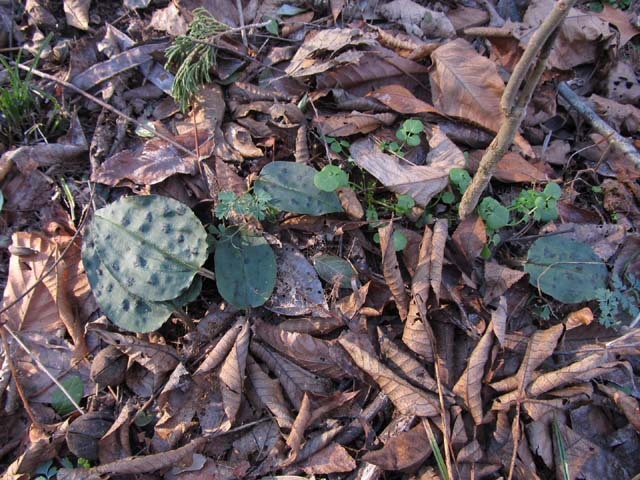 The first one I saw looked like a small piece of carpet on the leaf. That was in the late 80’s. 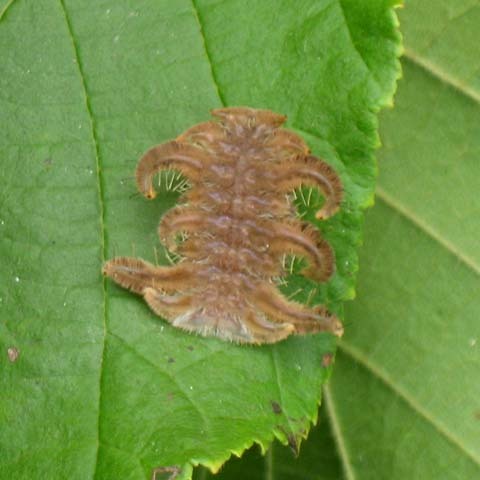 This was the second one I saw, and it was in my yard summer before last. 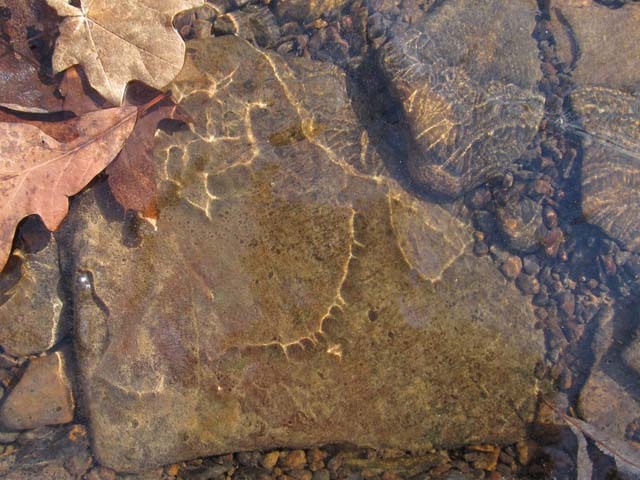 Obviously, they aren’t common … or they’re easily overlooked. 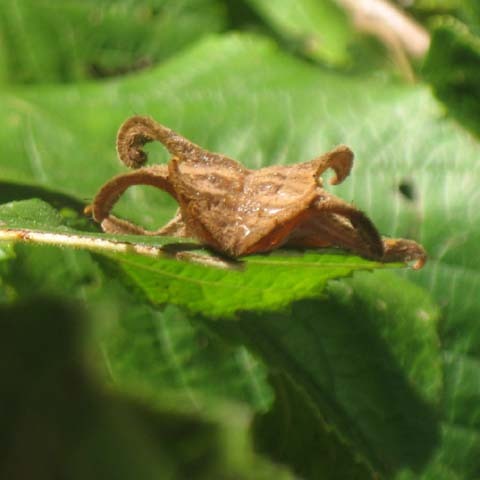 The head end is the one with the short “arms.” The arms are deciduous. 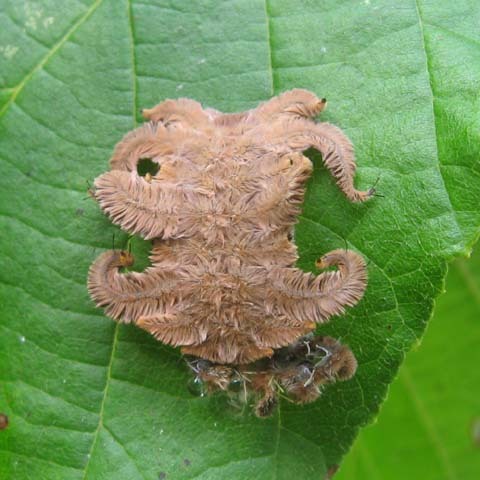 The moth caterpillar molted soon after I found it in late September. There’s disagreement as to whether the caterpillar has stinging hairs or not. I found both opinions in my research. I wondered if the bright yellow at the end of the arms was for a diversionary tactic of some sort. 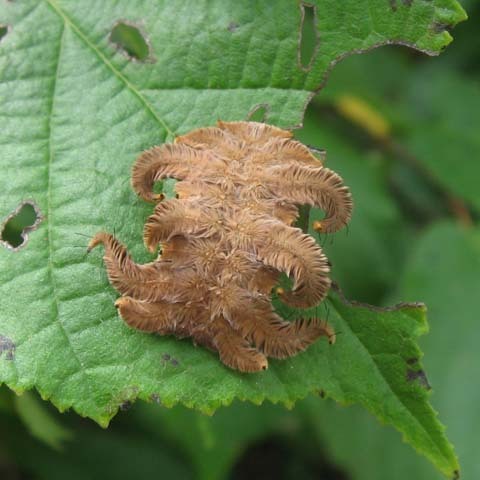 These caterpillars are found in shrubby fields, woodlands and forests from Quebec to Maine, and south to Florida and Arkansas. 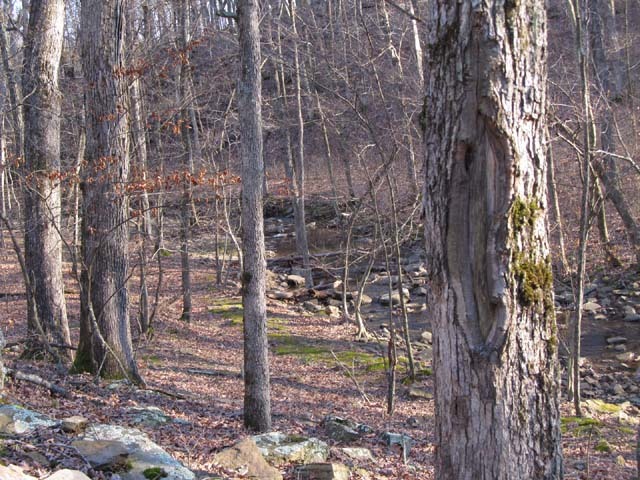 The long list of their host plants includes a long list of trees and woody shrubs. Yesterday was too beautiful of a day to stay in. Buffy insisted on a hike up on Eagle Mountain. 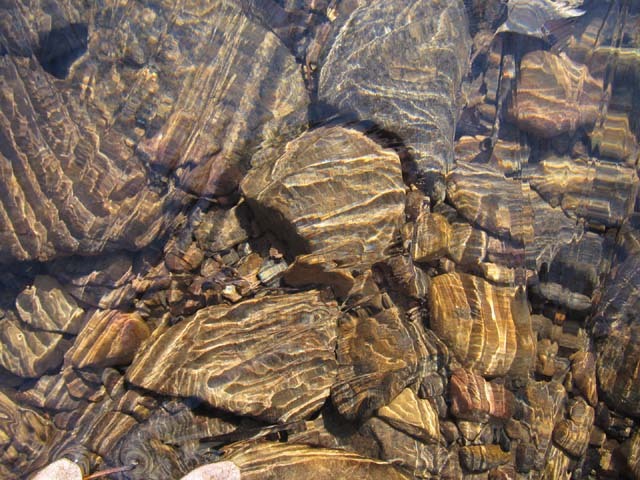 It was such a calm, relaxed day, and the creek “played” a varied tune. before returning to the truck. 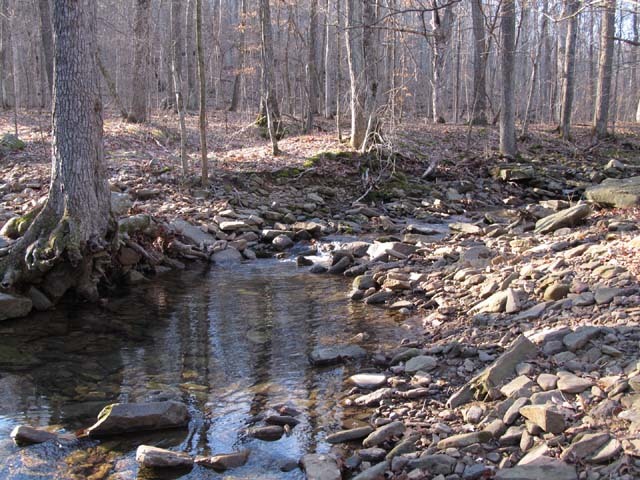 Buffy and I were hiking along the creek on my rural property last month. 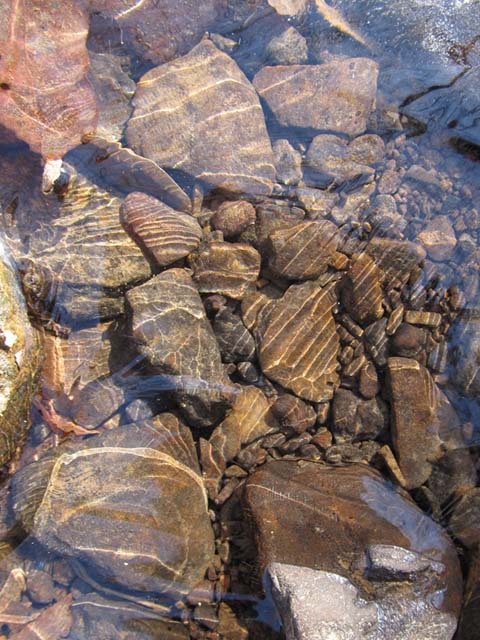 Open water remained in areas with the most flow. 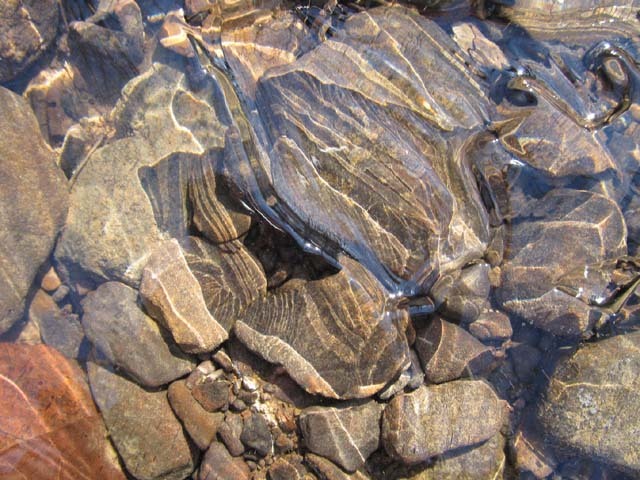 Thin ice formed over areas where the water had less movement. 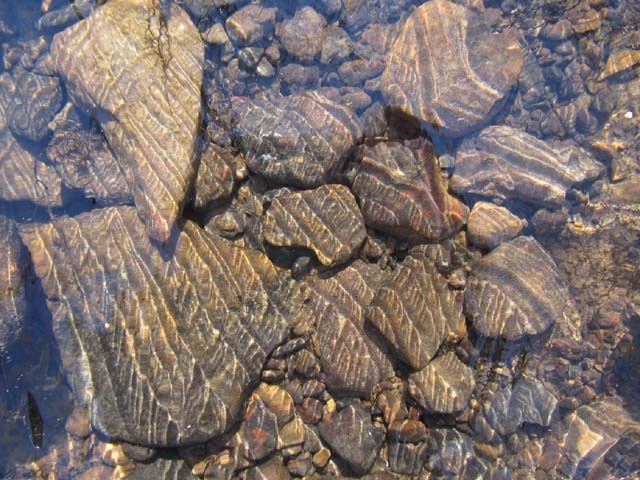 Ridges of ice formed on the undersurface of the ice and resulted in the patterns of light and shadow on the rocks below. 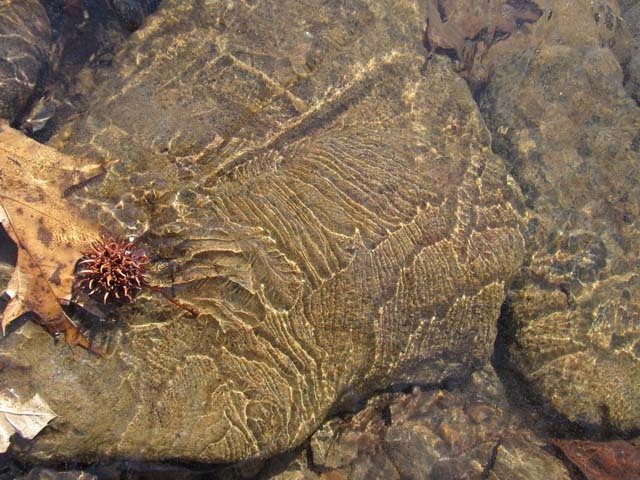 The shapes and angles of the rocks added to the shapes of the designs too. This one had me stumped with all the points that didn’t seem attached to a specific leaf. The ice’s surface looked relatively smooth. 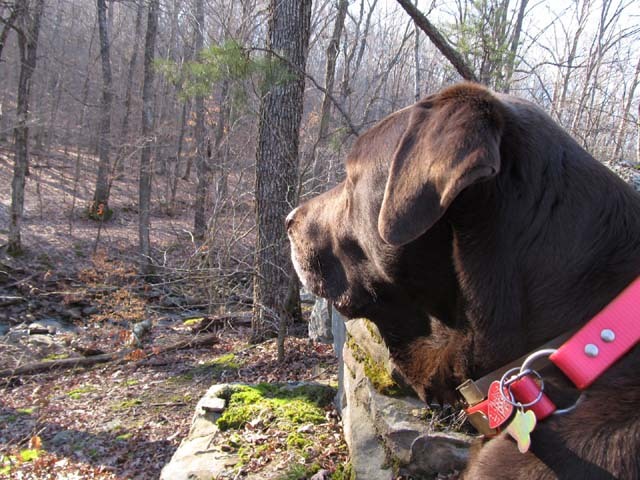 Buffy and I were hiking through the woods on a short trip to get out of the house. 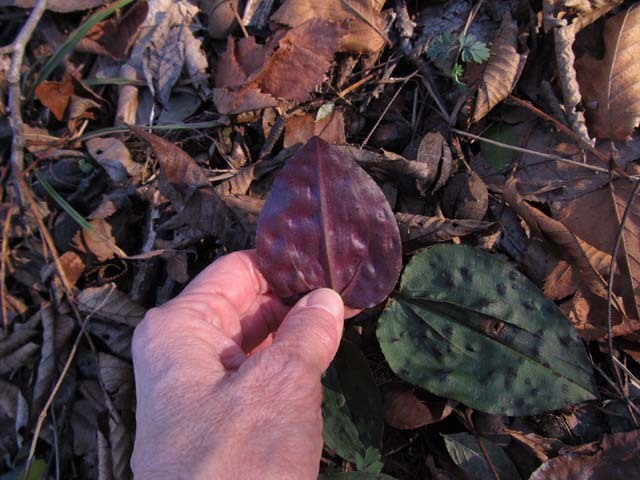 I would’ve overlooked these five leaves if I hadn’t known that they were orchid leaves. 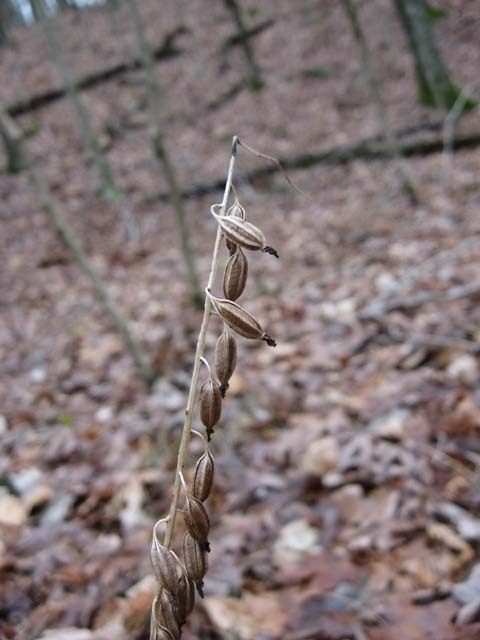 Cranefly orchid (Tipularia discolor) leaves remain green through the winter and wilt before the plants flower in the fall. 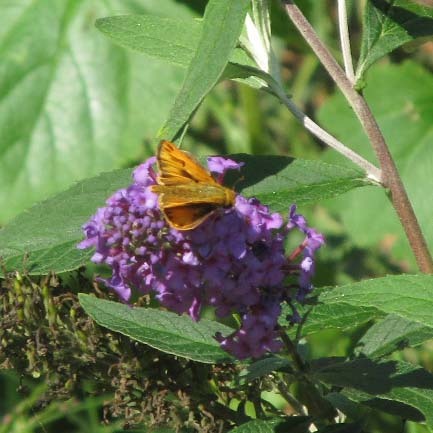 The purplish underside is a distinguishing feature for identifying them. The dark spots resulted from the cold winter weather. Petite describes the flowers. Obviously, they aren’t showy and do blend in with their surroundings. They grow in moist woodlands. 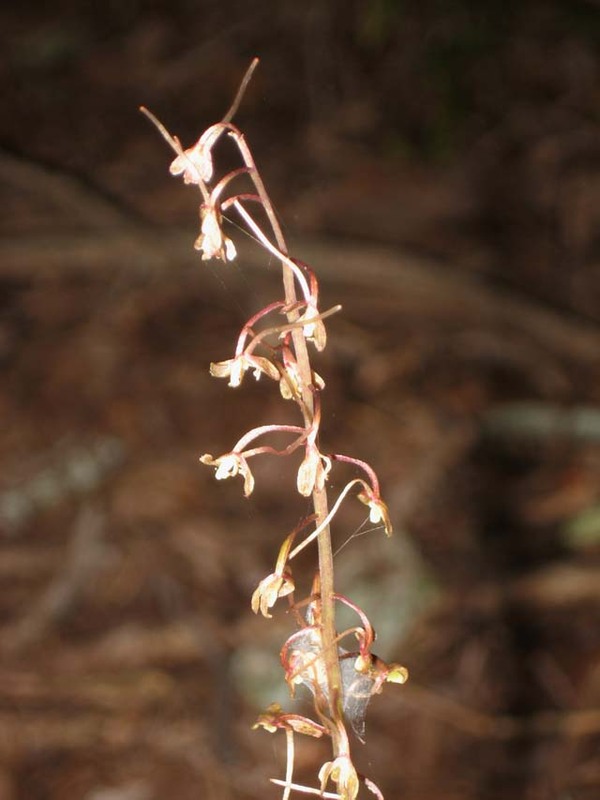 Flowering stalks grow to 10 cm to 60 cm tall. Seeing an orchid in any stage is exciting.